Michigan State completed a home-and-home sweep of Bowling Green tonight with a 4-1 win at Munn Ice Arena. 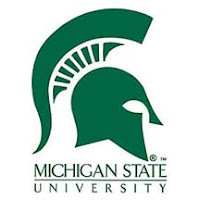 MSU took a 3-2 overtime victory last night in northern Ohio. Corey Tropp's hat trick tonight backed Drew Palmisano's 15 saves in goal for the 14th-ranked Spartans. Jeff Petry added a goal and two assists as well. Friday night, Torey Krug's first NCAA goal 35 seconds into the extra session made the rally complete as MSU had been down 2-0 going into the third period. Zack Josepher and Tropp tallied in the last 20 minutes to set the stage for Krug's heroics. In goal, Bobby Jarosz finished with 29 stops for MSU (12-6-2, 9-3-2 CCHA). Michigan State will now take a two-week break for the holidays and return to action at the Great Lakes Invitational on Dec. 29 against Michigan Tech. MiCHO will again cover the GLI in-person with full game recaps, interviews and a live blog.